How do I get buy-in from the teachers or other library staff members? How do I know if this is even going to work? The truth is, you don’t need to answer these questions to get started; you just need to know how you’re going to answer these questions. Start small, give yourself the freedom to fail and be willing to learn from your mistakes — after all, that’s what building a culture of makers and innovators is all about. 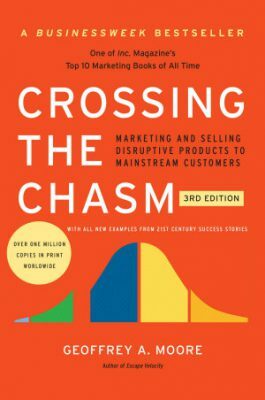 In his book Crossing the Chasm, Geoffery Moore explains to entrepreneurs that they should focus on the Innovators — those customers who are willing to accept their product in its most basic form, warts and all. The entrepreneur’s focus should be entirely on building the product — not selling it. Through deliberate experiments, and with inevitable failures, the entrepreneur will build a product that is ready to cross the chasm and enter the mainstream market. In starting your makerspace, you can use this same approach. Start with a simple, small-scale activity, and recruit a group of students who you know you will be able to engage — your innovators. Don’t invest in a 3D printer. Don’t remove three rows of shelving to put in lab tables and sewing machines. Just cover a table with newspaper, select a project that interests you and seems doable and see what happens. If all goes according to plan, try a more complex project with your innovators group, and try your original activity with a broader audience. If things didn’t work exactly right, take comfort in the fact that an underlying principle of makerspaces is that open-ended exploration leads to deeper learning and understanding, and you and your innovators are merely participating in some open-ended exploration. The more you experiment and tweak, the more engaged your innovators will become. You’ll know when your makerspace is ready to cross the chasm. Your innovators will become evangelists and other students will want in on the fun. 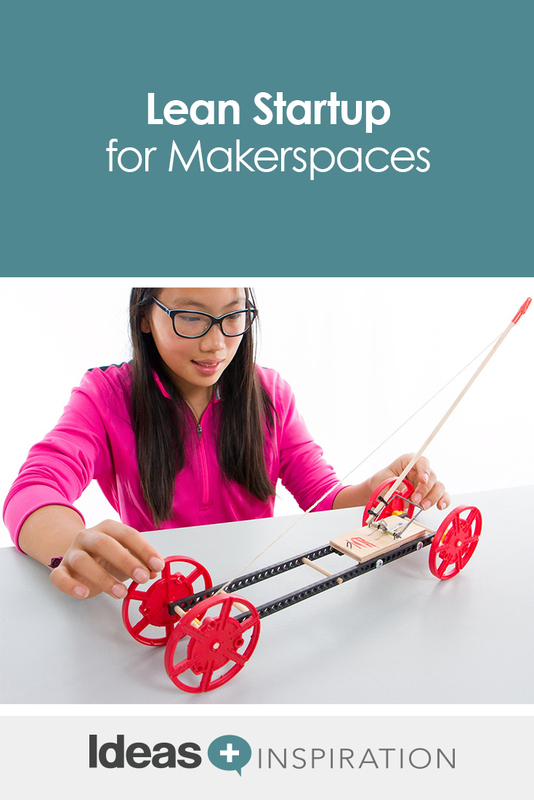 Teachers and staff will feel the energy of your makerspace and look for ways to collaborate and incorporate maker activities into their lessons. And you’ll take a deep breath and leap. Turns out you didn’t need a playbook — you just needed to write your own. 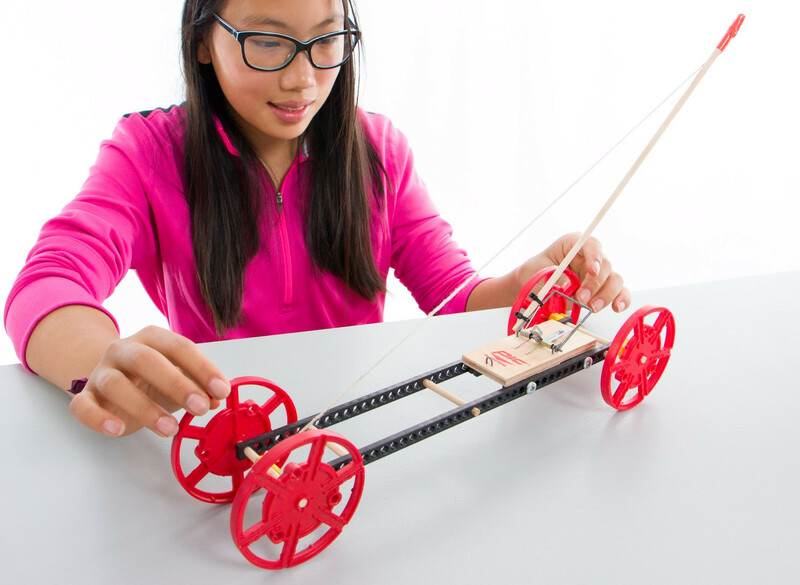 Discover inexpensive, quality resources to bring STEAM to your makerspace. TeacherGeek activity kits are easy to implement, engaging and effective.